The Eclipse mirror is designed to complement its sister product, the Eclipse table. 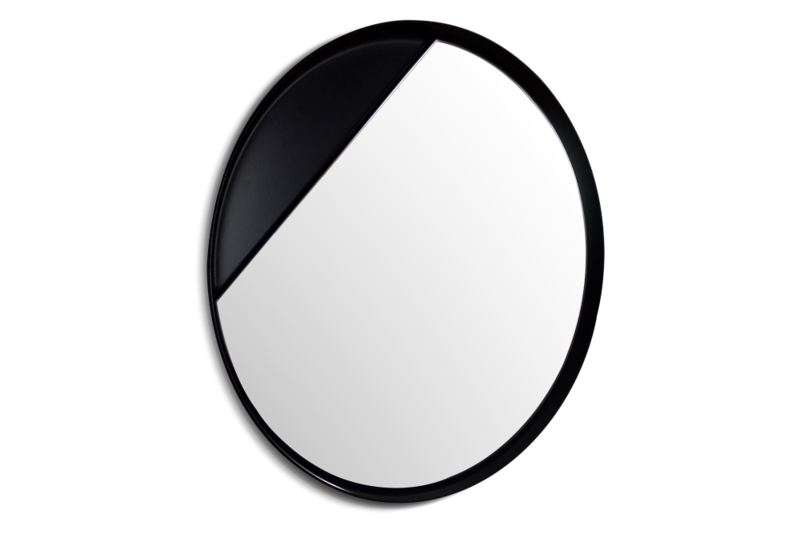 The Eclipse mirror offers a unique and refined mirror solution. A segment of the circular mirror has been cut away to reveal the spun metal frame beneath. The bold detail can be used as a feature piece or to complement a range of different interior styles. The Eclipse mirror can be hung in any orientation depending on which angle the user would like the slice to be to suit their room. Eight different hanging angles are possible.